Bentonite - Mahaveer Mineral from India, Rajasthan. 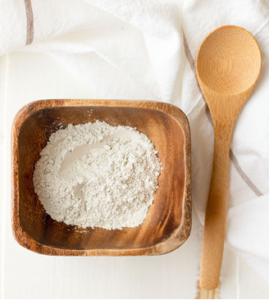 Bentonite is a natural clay of the smectite family. Bentonite Clay usually forms from weathering of volcanic ash, most often in the presence of water. It has a strong earthy odor when breathed upon or moistures and consists essentially of hydrous Alumina silicate with various impurities. Rajasthan Super Fillers Private Limited, Rajasthan, India is counted as reliable manufacturer and suppliers of Bentonite Clay. Our bentonite clay are highly acclaimed for their purity and efficiency among our clients, due to our processing from high quality raw material and modern technology. These Clay are available with us in various specifications as per clients’ needs at market leading price.